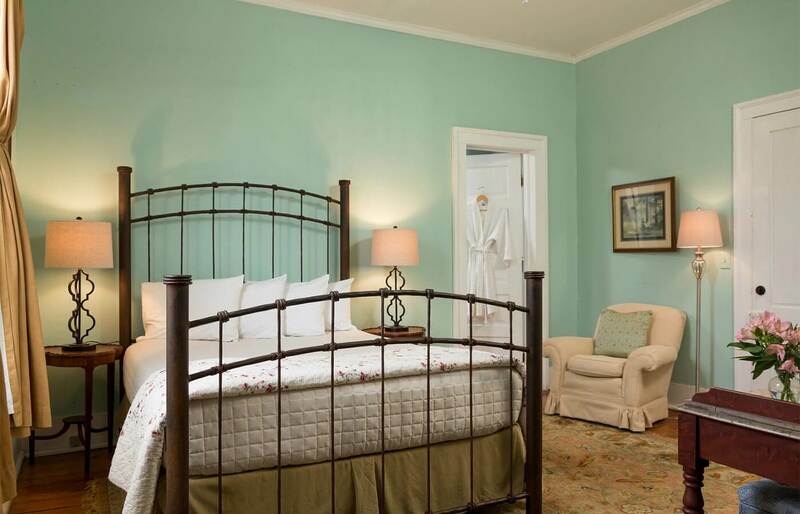 This spacious two room suite located at the Tillie Bond Cottage, offers exceptionally romantic North Carolina lodging. Former owner of Edenon’s famed Copula House, this room was Tillie’s own bedroom. 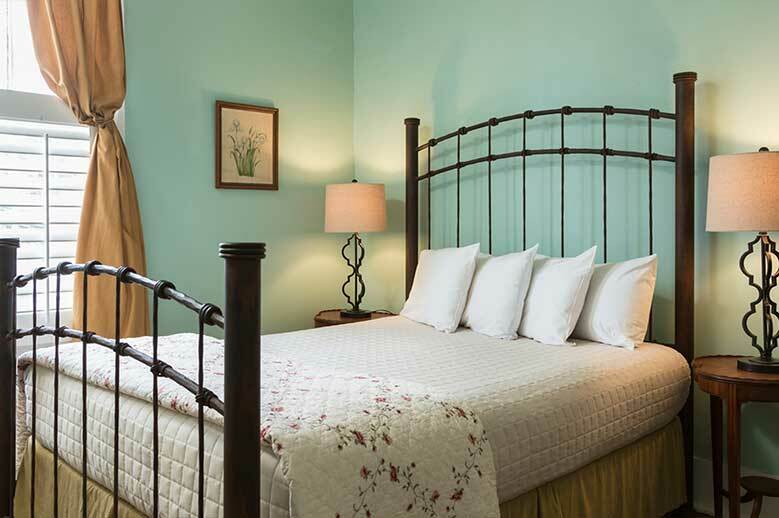 This delightful suite is pet friendly and has restful robin’s egg blue walls and cream accents with a queen sized bed, hand pressed sheets, cotton matelassé coverlet and pillows. 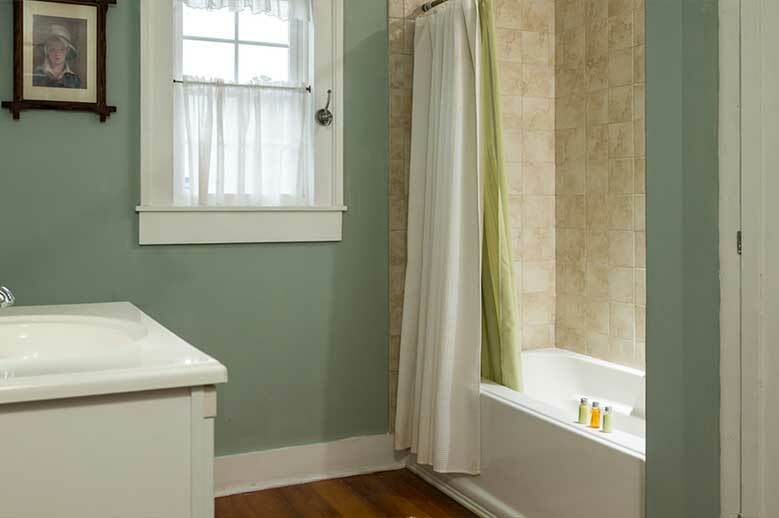 Private bath with tub/shower has premium towels and robes. 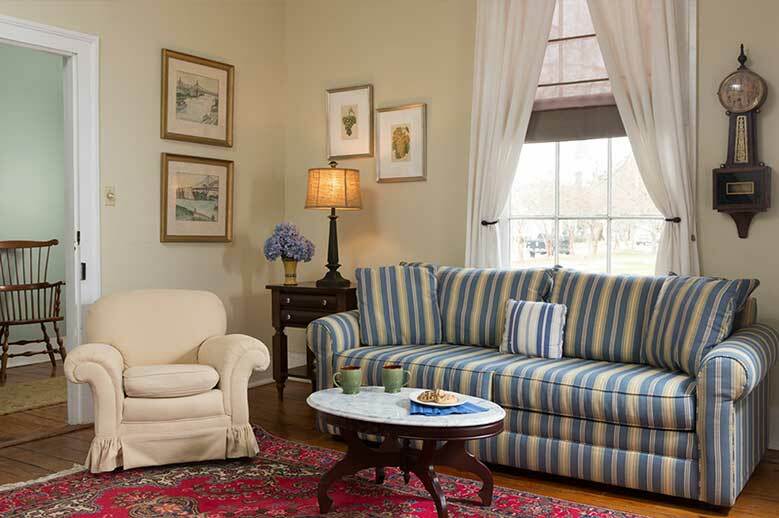 The sitting room has a sofa, easy chairs and a table and chairs for dining. Use of the guest kitchen and a fence yard. Steps away from the courthard patio where your well behaved dog is welcome to dine with you! 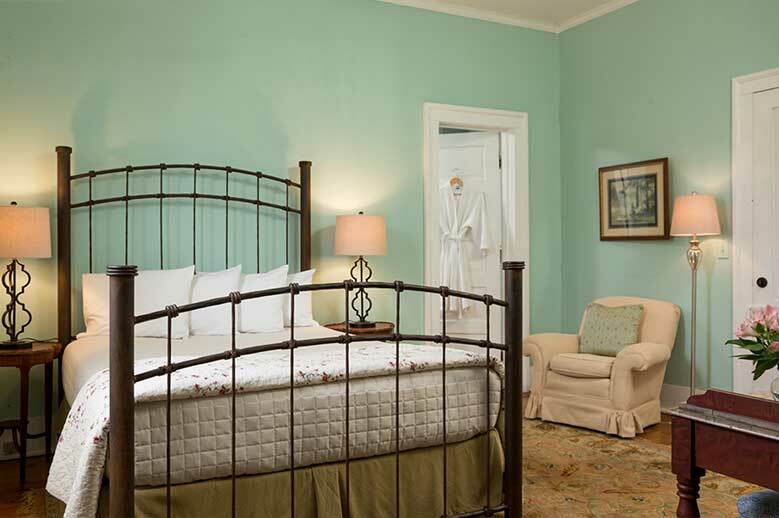 View all of our bed and breakfast rooms and suites and join us in the Inner Banks. 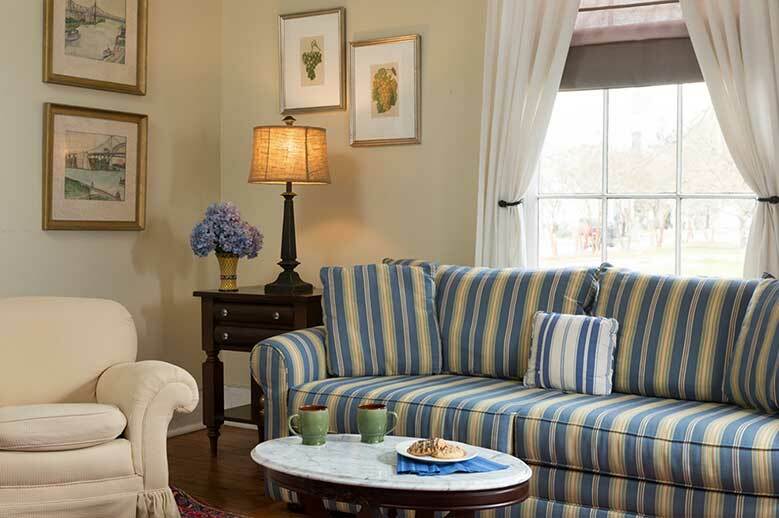 May be booked together with Suite 23 for a perfect North Carolina vacation rental. 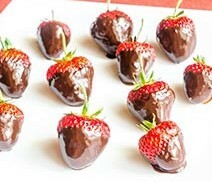 Premium fruits covered and swirled in decadent chocolate.